I have come under attack recently from corrupted people close to GMA about being at a party last Friday night during the Sendong Typhoon among other things. Therefore I would like to set the record straight on several issues. Firstly let’s not forget that before GMA was elected as president there were no Typhoons, Mud slides, Corruption, Crime, Murders and Journalists Killed. Any isolated cases that happened prior to GMA becoming president were only during the time of the dictator Marcos. Since the introduction of my Wang Wang law corruption in this country has declined by 50% and as you will see below I have plans to eliminate corruption completely. For those of you who keep criticizing me all I can say is that you are just jealous because I was the first person in this country to get the IPhone 4. This new phone will help me stop any future Typhoons, Mud slides, Corruption, Crime, Murders and to fight the chinese. Some of you have also complained about my smile. It is not my fault that I have a very alluring and seductive smile, I am a bachelor and the girls love my smile. I wanted to have a Justin Bieber hairstyle but because of GMA I don’t have enough hair. So instead of complaining please go and get a life. Finally I would like to layout my plans for stopping Typhoons, Mud slides, Corruption, Crime and Murders in the Philippines. From now on public officials are not allowed to say Merry Christmas this will stop corruption and the words Logging, Guns, Mud and Crime will be banned completely in order to ensure that we can eradicate Typhoons, Mud slides and Crime. I would kindly ask you redirect any criticisms you may have towards me, to GMA, Marcos, Corona, or Merci, I am only the President I am not responsible for all your problems. Lastly as you are aware I am practicing my shooting skills so that I can lead our new warship in our fight against the Chinese over the Spartlys. The above was posted by commenter "Mark" in a Get Real Post comment. It is not an official message issued or endorsed by Malacañang. SANDALI!BAKIT HINDI MAN LANG BINANGGIT SI kriSTD? heads will roll in pag-asa.sila ang mapabalingan ng lahat ng nangyari sa cdo,iligan atbp.kesyo wrong reporting kung saan dadaan ang bagyo kon ano tatamaan at kung ano oras tatama.walang preventive measures.tsk tsk tsk. and bottom line c GMA at SI CORONA ANG MY SALA SA NANGYARI.HALA YELLOW IGNORANTES BANAT! ang bubu ng letter! "sabi nya move on" hindi nga maka move on sa past administration... hahai nalang ang NOOB ng PANGULO natin walang aLam! PHACK OFF! and do ur job. - The Filipino People. LMAO! "i am only the president I am not responsible for all your problems"
First of all, as president you should not make such remark. 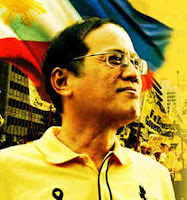 As President you should appeal to the masses especially those affected by Typhoon Sendong. You should not ignore these problems and other problems of the people, your people because there is only one of you and millions of them. You shall do everything in you power to give the Filipino citizens what they need. Or else you wouldn't doing much of a "president's job" You would be acting as a selfish individual. very very pathetic. if you can't take the heat.. step down!